Add a piece of brewing history to your workspace with the Technivorm Cup-one! Modeled after the retro design of its larger counterparts, the Cup-One sports pint-size proportions perfect for single-cup drinkers. A petite #1 cone filter and a small 10 ounce (300ml) reservoir deliver fresh-brewed coffee directly into your favorite mug. 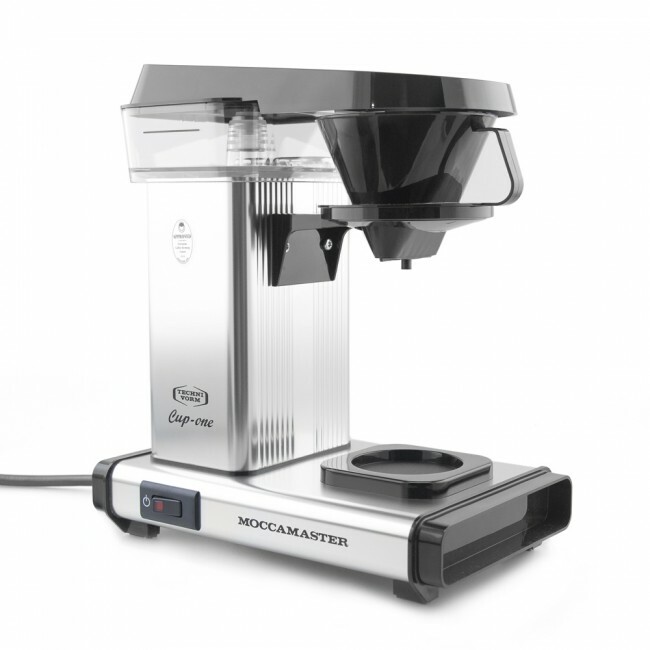 Better, the Cup-One features the same simple toggle control and temperature-stable heating element well-loved on full-sized models. 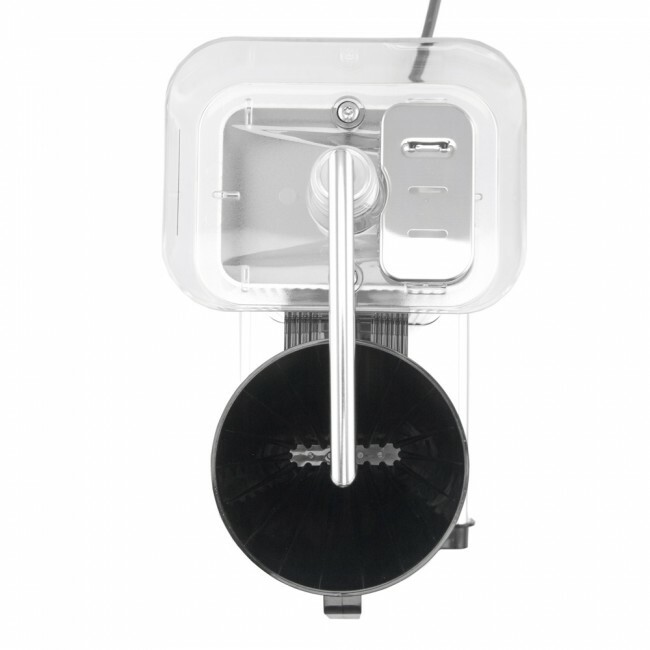 Speedy Brewer - The single-serving design means that you can make a cup incredibly quickly. We clocked our demo unit at 3:01. Heating Element - A generously powered 1200w heating element comes up to a perfect 200º and stays there. 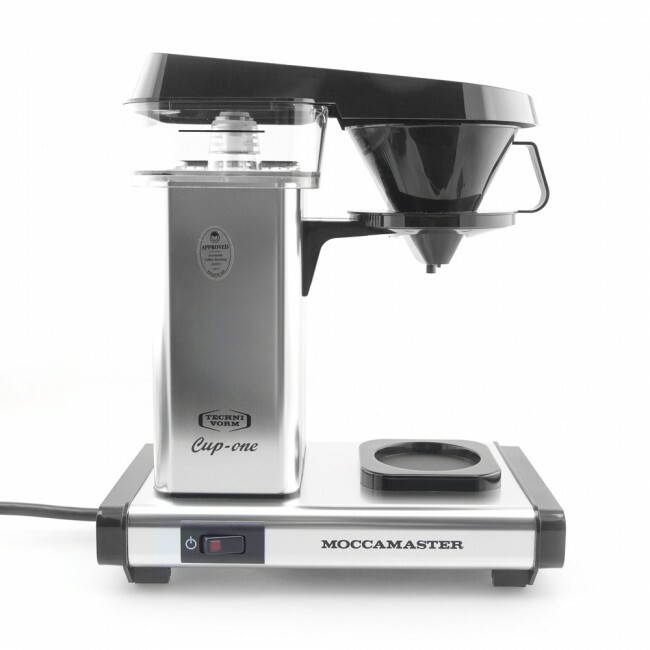 Classic Design - The same look you love on a full-size Moccamaster. Quality One Cup - If you're looking for an automated one cup coffee maker, they don't get much nicer. 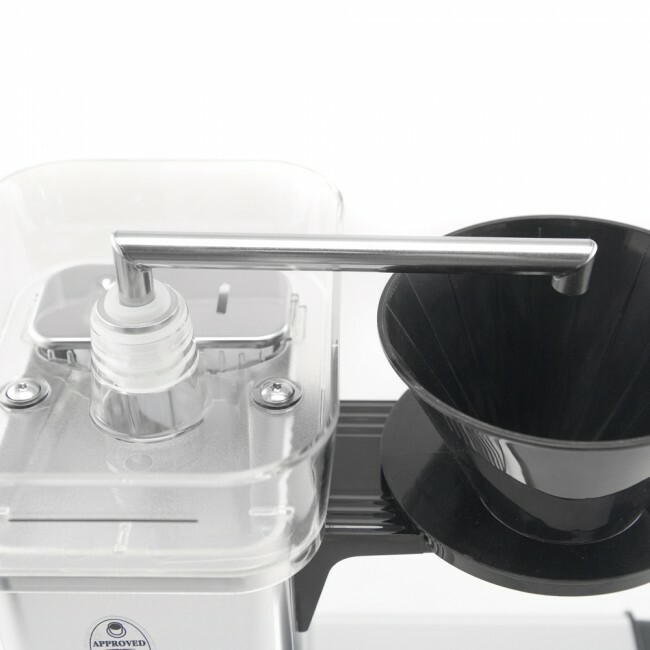 Care-free Cleanup - No dedicated carafe or pause-and-pour features mean that the Cup-One is easy to clean between uses. No Spray Arm - THe Cup-One uses a metal tube instead of a multi-hole spray arm, meaning less efficient extraction of coffee than its full-size brethren. Wipe out cup stand and reservoir weekly. Rinse filter basket after every use. Descale every 2-3 months as needed.